As your sign lord the Jupiter is in 8th place, success in any taken task will decrease. Working people will get benefits / success only after working harder. Marriage, child birth and other auspicious celebration will get delayed. As the Mars is not favourable during the start of the year, you will get some problems. You will get problems through your brothers and sisters. As the Mercury, the Sun and the Venus are in 10th place, business / job will give you benefits. You will get benefits form your father. You will get ancestors assets. As the Saturn is in 10th place, you will get benefits in your benefits. You will get benefits through you workers. According to your hard work you will get success. As the Raghu is in 5th place and the Kethu is in 11th place, you will get general happiness. You will get happiness through your children. People in commission field will get benefits. You will get rid of your loan problems. This year Jupiter transition will give you benefits. Students will be good in their education. Motifs will get good opportunity and success. As the Jupiter is in 8th place, benefits will decrease. There will be a delay and struggle in any taken tasks. Love and unity between husband and wife will get affected. Do not interfere in unnecessary matters. As the Jupiter enters 9th place on 11/10/2018, you will get benefits. Childless people will get childbirth. You will get rid of the obstacles and problems in getting married. Your respect and fame will increase in the society. You will get ancestor assets you will get love and support from your parent. This Jupiter transit will be more favorable. In general this year 2018 is a normal year. Second half of this year will be beneficial. 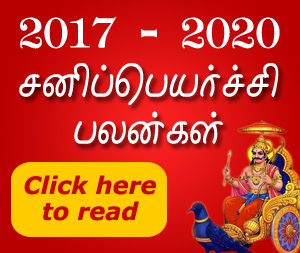 Worship goddess of Sivan temple to get benefits. Worship lord Murugan every Tuesday for more benefits.